The most important milestone after your initial sale comes up at the end of your original contract. Your customer has the choice, at that point, whether or not they want to continue to do business with you. Negotiations at this point are critical because any perceived issues can put the deal at risk. The customer expects—especially on large enterprise deals—that you know what the customer bought, how it’s configured, when they bought it, where it’s installed, and what types of pricing were agreed to during the original contract. Lacking the institutional knowledge to determine this is a huge disadvantage in the sales cycle. That is why every company needs to build a mature renewal process to support this critical milestone. After building out the basics of your install base, including contracts, assets, subscriptions, and amendments, it’s time to seriously consider how you can enhance renewals to drive more revenue through CPQ. To do so, let’s look at three key steps: forecasting with a call to action, knowing your customer, and scaling for the future. The great thing about how Salesforce CPQ and others operate is that it understands and expects that this is going to happen. When you close an amendment deal, Salesforce seamlessly updates the renewal quote and opportunity to reflect the changes to the overall state of the install base and contract. Secondly, renewals help you focus on selling the deal and building your relationship with the customer rather than tracking down. It’s the agreements, amendments, and contractual pricing. When it’s time to renew, everything that’s happened in the contract is seamlessly prepared for you with every bit of configuration data, pricing data, and document data. Offering a renewal at the wrong price is a surefire way to make a customer angry. CPQ makes it hard for you to make that mistake by automatically importing those previously agreed upon contractual prices. We also have the option to encourage your reps to renegotiate prices. Have you introduced a new feature that has created a tremendous amount of value for your customers, and you feel like a price increase is warranted? That’s not a problem at all. The point is you choose what works best, and Simplus can work with your team to create a best-in-class renewal process that is tailor-made for your business! Salesforce also allows you to contractually build-in protection against inflation and currency fluctuations by building pricing increases on a year-over-year basis. We handle this automatically out of the box, so you don’t have to do so. Then at the time of renewal, we can also build in approvals if your reps don’t meet the minimum recommended term, price, or volume! As your renewal process matures, we want you to automate it as much as possible. We have helped several customers achieve near completely automated renewal processes. There are some customers that view their renewal process as a great point to check in with the customer and see if there are any other products they might be interested in buying. Either approach is great, as long as there isn’t any unnecessary manual work in the process. 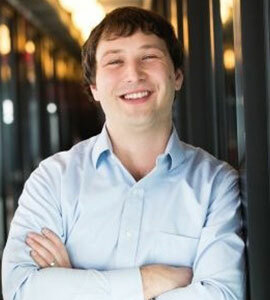 This allows us to fundamentally shift the focus from the administrative work of getting a deal done to higher level functions like managing the relationship, analyzing patterns in the data, and—ultimately—the holy grail: predictive selling and artificial intelligence services that help us unlock new opportunities we might never have seen before. Once we build the install base, we have all the data about what our customers have purchased. When you begin to analyze the install base across hundreds of different customers and unleash the power of services like Einstein, you begin to see buying trends that potentially may have been obfuscated by the complexity or scale of your install base before. This data has potentially limitless possibilities, and unlocking the power of it all starts with building your install base. Over the course of this series, we’ve taken you through how contracts, subscriptions, and assets can transform your business through closing business, amendments, and ultimately keeping your customers happy and renewing through your mature renewals process. This is just one piece to a larger puzzle that is the quote-to-cash journey. 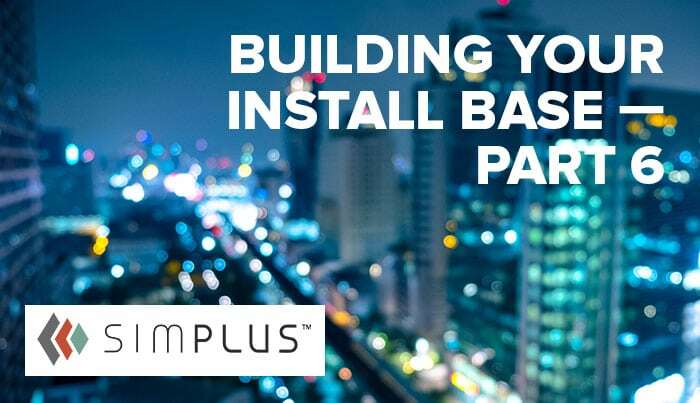 Are you ready to hear more about how Simplus can partner with you on this journey? Contact us today.